The indication was given in a blog post praising the US Senate for passing the National Quantum Initiative Act, a unified national strategy for researching quantum information science. “At AWS, we are motivated by what quantum technologies can do for our customers, be they a small business or a large government agency. We envision quantum computing being widely accessible as an integral part of the AWS Cloud so that all of our customers can benefit from it,” the post, written by AWS’ Bill Vass and Simone Severini says. Severini – professor of physics of information at University College London in the UK – was appointed as AWS’ director, quantum computing last month. Quantum computing will “increase the speed at which our customers can process complex scientific data in the cloud, which will enable unprecedented success in problem-solving, and supercharge research and development” Vass and Severini continue. “This could lead to world-changing advancements in fundamental physics, medicine, biotechnology, material sciences, and energy, to name a few. The societal and economic benefits of quantum technologies will undoubtedly be immense,” they add. The blog post also notes that AWS is “driven by the importance of quantum technologies to our national security customers”. The only time the company has alluded to quantum computing previously was in 2010 when it announced it was launching “the first production-ready quantum computer” via the cloud, to be called Quantum Compute Cloud, or QC2 for short. The announcement was made on April Fool’s Day. AWS has arrived relatively late to the quantum computing party. Just over a year ago, a senior executive at the company told Computerworld the technology was simply too immature to be of interest. AWS’s cloud rival Microsoft has been working towards building a quantum computer for a number of years. In 2017 Microsoft’s then AI and Research Division chief operating officer David Pritchard told Computerworld the company was “still trying to figure out” a business model for the technology. “Microsoft’s enterprise customers are interested in changing their businesses using this technology, and we have set our sights beyond the hype cycle. We have a good understanding of what’s needed,” she added. IBM has also been building small-scale quantum computers for some time, and in December last year began giving enterprise customers and research institutions access to its 20 qubit machine via the cloud. Google has similar aims, and in Sydney in July announced its intention to make its 72 qubit Bristlecone quantum processor available in the cloud. In March Google said it was “cautiously optimistic” that Bristlecone would achieve ‘quantum supremacy’ the point at which a quantum device can perform a task a classical supercomputer would not be able to complete in a reasonable amount of time. Telstra and Commonwealth Bank of Australia have also hinted at offering customer quantum computing capabilities, leveraging their partnership with the Centre for Quantum Computation and Communication Technology (CQC2T) and spin-off company Silicon Quantum Computing (SQC). Vass and Severini’s blog post does not make clear if AWS intends to build its own quantum computer, or make capabilities available via its cloud. AWS has a decade-long engineering relationship with Intel, which it engages to build custom hardware. 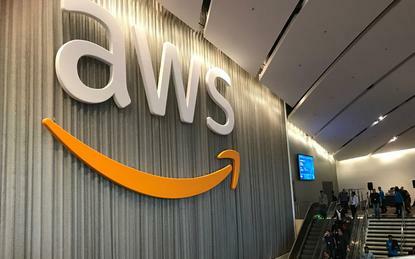 In November, at AWS’ annual Re:Invent conference the company revealed it was designing and deploying its own CPUs to the cloud, and offering customers on-premises AWS configured hardware. Intel is pursuing an ambition to build a complete quantum computing system “from architecture to algorithms to control electronics”. In January, it unveiled a 49-qubit superconducting quantum test chip, heralding it as “a step towards quantum supremacy”.